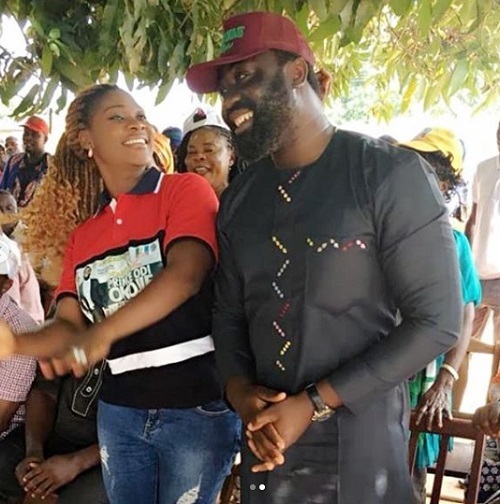 Nollywood actress Mercy Johnson was spotted supporting her husband, Prince Odi Okojie's political ambition during a recent campaign, as she was seen rocking his campaign t-shirt. His first attempt wasn't successful, hopefully he'll get it this time. 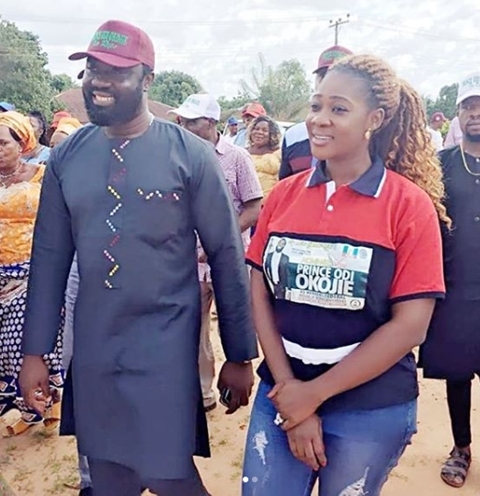 Edo State-born Prince Okojie is reportedly contesting for House of Reps.